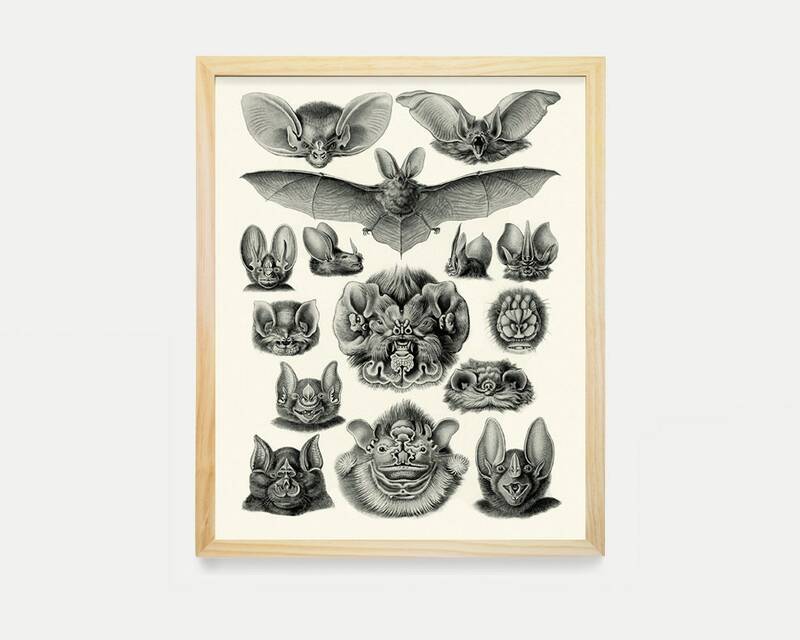 This is a beautiful antique illustration of an array of Bats drawn by Ernst Haeckel. 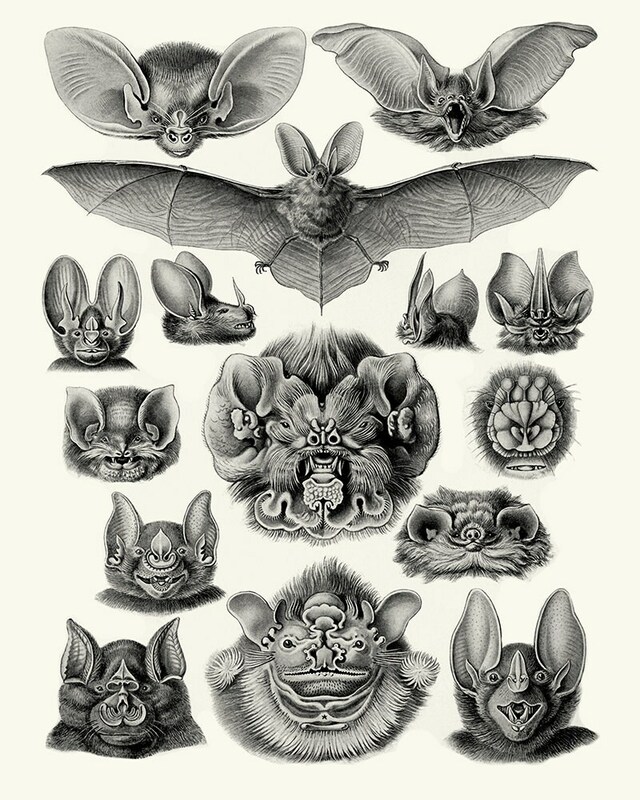 Haeckel was a prolific Naturalist Illustrator and Biologist. This print comes from Haeckel's 1904 book, Kunstformen der Natur (Art forms of Nature).